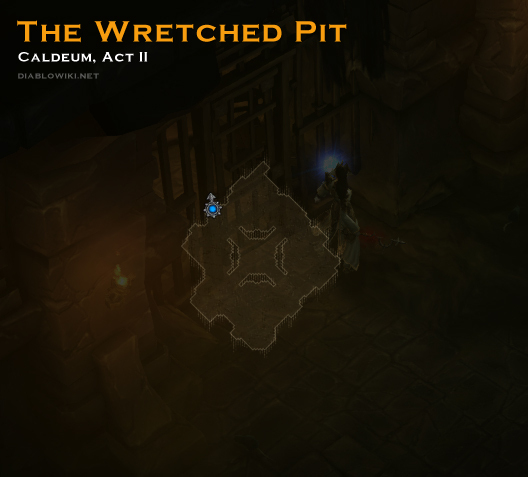 Map for the The Wretched Pit which is found beneath the City of Caldeum via its Sewers. The configuration is identical each time and once you enter it you will not be able to go back to the Sewers, you have to use Adria's Town Portal. This page was last edited on 7 October 2013, at 23:36.